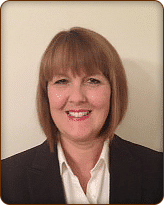 Our Practice Manager, Mrs Jayne Cooper, has a background in nursing spanning over thirty years. Having worked with Mr Rezai for more than ten of these, her friendly, dedicated approach and wealth of experience make her a great resource for patients who have any questions regarding their treatment. A skilled aesthetic nurse, Jayne is highly experienced in administering a range of non-invasive cosmetic procedures, including chemical peels, Botox and Dermal Fillers. With a reassuring way of communicating, she always aims to make you feel as comfortable as possible, being closely involved in every aspect of pre-, peri-, and post-operative care. Whatever it is you’re looking to improve, and whichever treatment you choose, Jayne will guide and support you every step of the way.